Riverside, California sits at the heart of the Inland Empire / San Bernardino area. Riverside is San Bernardino’s largest city with over 300,000 people. Green Clean junk removal services in Riverside provide junk removal, rubbish removal, and garbage removal to the city’s residents and businesses. Green Clean junk removal services in Riverside is proud to provide dumpster rental and trash hauling services to the entire area. Businesses in Riverside and the surrounding areas rely on Green Clean Junk Removal to get rid of their trash, rubbish, and garbage. We provide construction debris hauling and construction debris removal services to contractors in Riverside who need to clean up work sites and get rid of construction debris. Green Clean junk removal services in Riverside also has office clean out and office breakdown service. 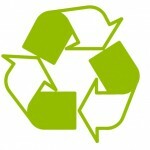 Green Clean junk removal also offers event trash pick up for large corporate events and parties. Green Clean junk removal services also offers a number of services for Riverside homeowners, renters, and landlords. Since 2008 a wave of foreclosures exploded across the San Bernardino area. This wave of foreclosures left many homes and condos in Riverside empty. As the economy of Riverside has slowly rebounded people have begun to buy those foreclosed homes. Green Clean junk removal services offer household junk removal especially for foreclosed home that need to be cleaned out after a sale. Green Clean junk removal services also have front yard and backyard clean out services for foreclosed homes, rental properties, or homes that simply need to be freed of junk. Green Clean junk removal services in Riverside also provide support for those who suffer from and who have been touched by hoarding disorders. Hoarding is when a person has an uncontrollable urge to fill a home or apartment with junk, trash or rubbish. Hoarding destroys both lives and homes when it is left unaddressed. Green Clean Junk Removal services in Riverside have specially trained professionals that have dealt with hoarders before. With our hoarders junk removal service, our trained professionals can clean out a hoarder’s house or apartment quickly. We help hoarders regain control of their lives. We also help families and landlords deal with the aftermath of a hoarded house or apartment. Green Clean Junk Removal Riverside! Green Clean Junk Removal Riverside, CA is your one stop resource for all your junk and hauling needs. No project is too big or too small from a simple old couch pick up to a huge disaster clean up. We are here for you.